The perfect picnic basket for this Summer! 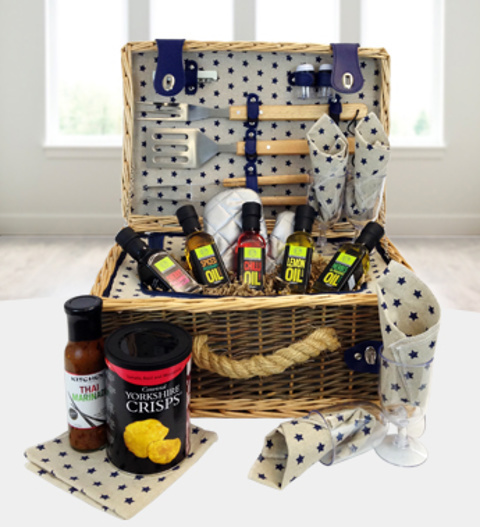 This is the amazing BBQ hamper complete with deluxe accessories and speciality cooking oils. The Ultimate BBQ Hamper is available for UK next day delivery.